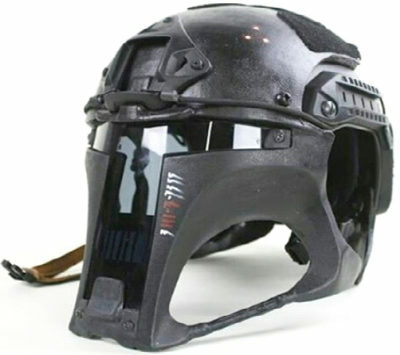 Please be aware that all Galac-Tac products, including all helmets and armor, are NON-BALLISTIC and are currently only intended for cosplay and airsoft. Shipping to the lower 48 states is $20 flat fee, $70 overseas. All items shipped by the most expedited method available for the fee. Galac-Tac helmets are made of high-impact, semi-rigid urethane. The visor is 1/8″ lexan.